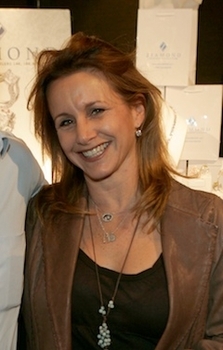 Gabrielle Carteris is all smiles at Ziamond Cubic Zirconia CZ Jewelers collection of gold and platinum jewelry. Ziamond cubic zirconia cz jewelry is the best alternative for all your fine jewelry needs! Ziamond cubic zirconia cz jewelry is set in the same mountings used to set real diamonds and all of our stones are hand cut and hand polished to GIA specifications.